Trade In any manufacturer's security product to WatchGuard Firebox T15 with 3-yr Basic Security Suite including WebBlocker, Application Control, spamBlocker, Gateway AntiVirus, Network Discovery, IPS, Reputation Enabled Defence, and Standard Support. Trade In any manufacturer's security product to WatchGuard Firebox T15 with 3-yr Total Security Suite including WebBlocker, Application Control, spamBlocker, Gateway AntiVirus, Network Discovery, IPS, Reputation Enabled Defence, Data Loss Prevention (DLP), Dimension Command, APT Blocker, DNSWatch, Threat Detection and Response, and Gold Support. Trade In any manufacturer's security product to WatchGuard Firebox T15-W with 3-yr Basic Security Suite including WebBlocker, Application Control, spamBlocker, Gateway AntiVirus, Network Discovery, IPS, Reputation Enabled Defence, and Standard Support. 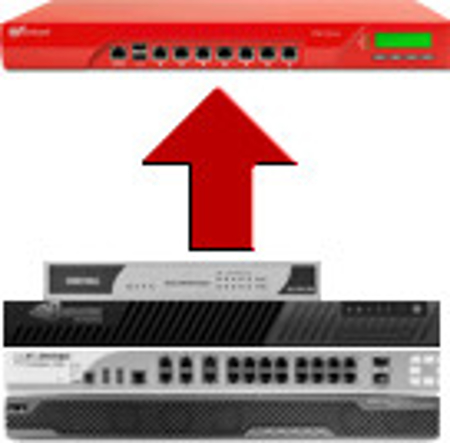 Trade In any manufacturer's security product to WatchGuard Firebox T15-W with 3-yr Total Security Suite including WebBlocker, Application Control, spamBlocker, Gateway AntiVirus, Network Discovery, IPS, Reputation Enabled Defence, Data Loss Prevention (DLP), Dimension Command, APT Blocker, DNSWatch, Threat Detection and Response, and Gold Support. Trade In any manufacturer's security product to WatchGuard Firebox T35 with 3-yr Basic Security Suite including WebBlocker, Application Control, spamBlocker, Gateway AntiVirus, Network Discovery, IPS, Reputation Enabled Defence, and Standard Support. Trade In any manufacturer's security product to WatchGuard Firebox T35 with 3-yr Total Security Suite including WebBlocker, Application Control, spamBlocker, Gateway AntiVirus, Network Discovery, IPS, Reputation Enabled Defence, Data Loss Prevention (DLP), Dimension Command, APT Blocker, DNSWatch, Threat Detection and Response, and Gold Support. Trade In any manufacturer's security product to WatchGuard Firebox T35-W with 3-yr Basic Security Suite including WebBlocker, Application Control, spamBlocker, Gateway AntiVirus, Network Discovery, IPS, Reputation Enabled Defence, and Standard Support. 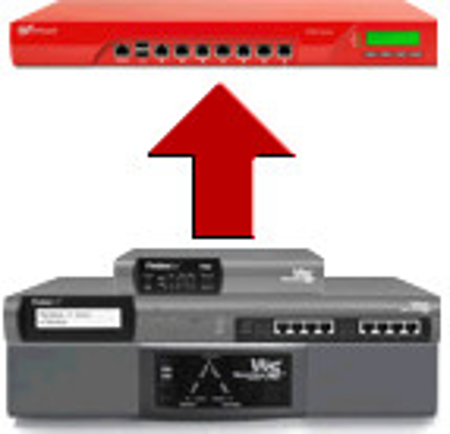 Trade In any manufacturer's security product to WatchGuard Firebox T35-W with 3-yr Total Security Suite including WebBlocker, Application Control, spamBlocker, Gateway AntiVirus, Network Discovery, IPS, Reputation Enabled Defence, Data Loss Prevention (DLP), Dimension Command, APT Blocker, DNSWatch, Threat Detection and Response, and Gold Support.